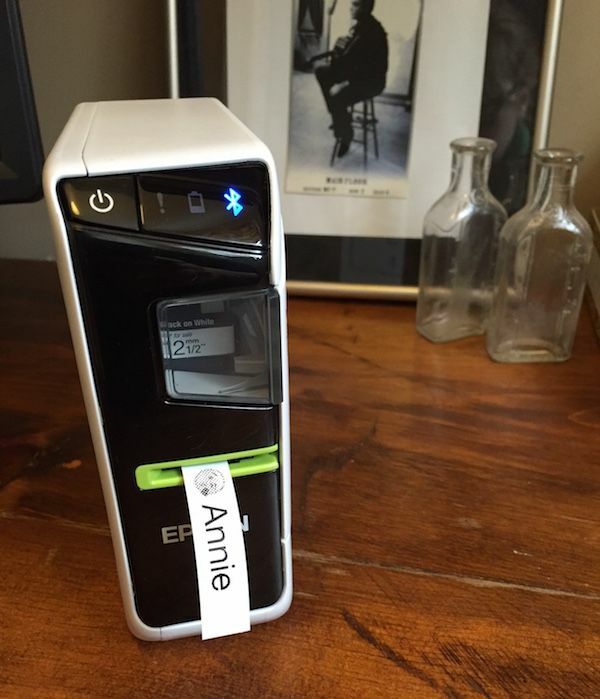 The Bluetooth label maker that lets you create and print straight from your phone. Type-A heaven! The geek in me is coming out strong, you guys. 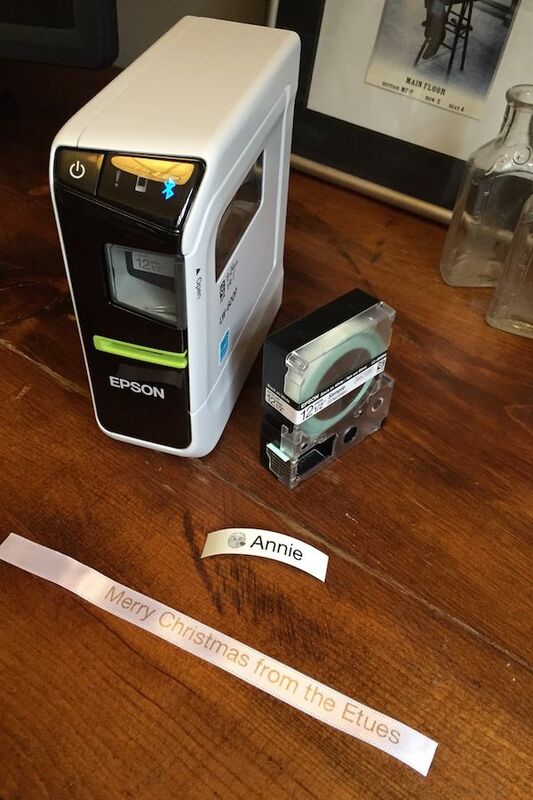 I’m a little embarrassed about how excited I am about the new Epson LabelWorks LW600-P Bluetooth label maker which I recently got a chance to try out (thanks Epson!) and while “LW600-P” doesn’t exactly roll right off the tongue (seriously, who comes up with these product names? ), what it lacks in a memorable, consumer-friendly product name it makes up for in pretty fantastic innovation. 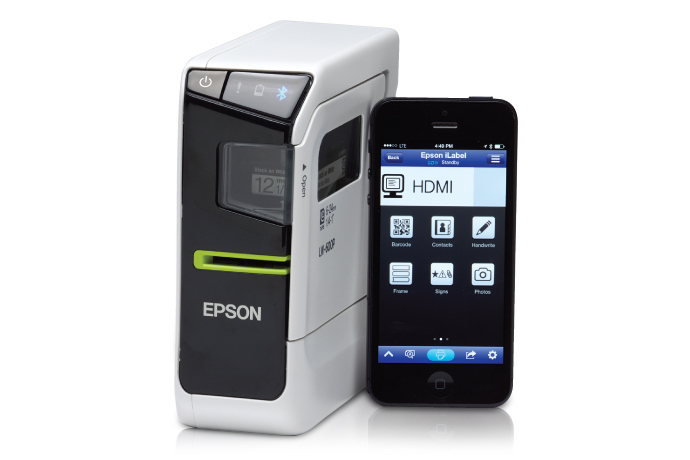 Essentially you download the free Epson iLabel app (iOS and Android), then you can quickly design a label and send it to your printer wirelessly via Bluetooth. It just prints. With no hassle. From your phone. As in, awesome. This type-A mom with three messy kids is now totally ready for holiday organization, because all those random cords and snack boxes and Wii controllers and shelves in the hall closet are getting labeled. Hey, I may even label the seats in the car, since the kids always fight over them. I like that Epson LabelWorks allows you to choose from dozens of fonts when you design your label, and you can edit the layout so it looks just the way you want. But what’s really fun is that you can insert any of your emojis to your design too. We ♥ that. And Epson has gotten creative with their label tape options too; you can print on different colors, or choose textures like metallic, pearlized, reflective, glow-in-the-dark — even iron-on tapes for kids clothes. Labeling has definitely a long way since those little handheld stamper labels of my youth. One more interesting thing: over the holidays, or for any gifts throughout the year, you can use a ribbon cartridge instead of the label tape, to print custom messages on your gift wrap. Now the quality isn’t exactly like fine design with proper kerning and innovative font choices. You also can’t create a single label with multiple fonts or font size, so I can’t imagine using this on tasteful gifts for my adult friends. That said, the ribbon is actually nicer than I expected, though definitely expensive compared with ribbon I’d grab at the drugstore. Still, I could see where it would be helpful to identify a gift from a certain recipient at a big birthday party or holiday gathering. Also be aware that while you can print wirelessly from your mobile device, oddly it seems you have to use a wired USB connection to print from your Mac or PC. That may not be a huge deal considering how many of us are trading computer time for tablet time, but it does mean that if you’re designing on your laptop, let me stave off the frustration now of trying to figure out why it won’t pair with Bluetooth. I guess in an increasingly wireless world, we just kind of expect all things to work the way we want them, all the time. Still, Epson LabelWorks is off to a pretty great start. You can find the Epson LabelWorks LW-600P Bluetooth label printer at our affiliate Amazon or office supply stores near you. Thanks to Epson for sending us a sample unit for consideration. This looks like a huge improvement over traditional label makers. 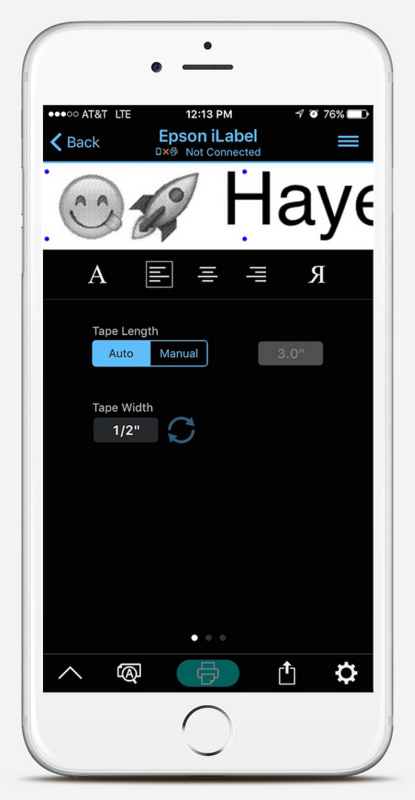 Being able to design a label on your phone and send it via Bluetooth is a big plus. However, after checking on the price at Amazon, it is a bit pricey, and cartridges run between $13 – $24.